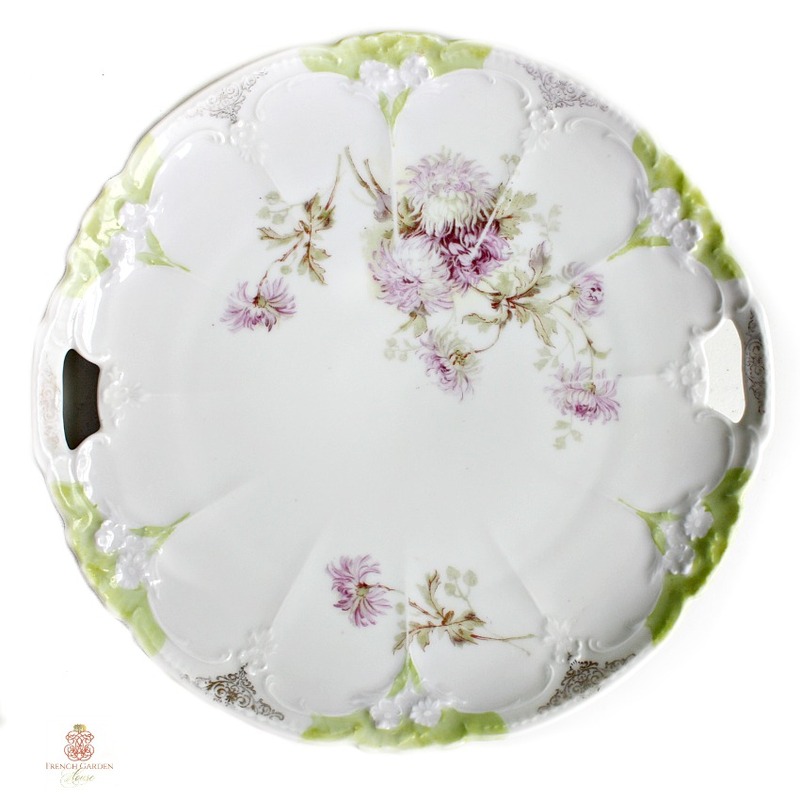 Charming Porcelain Cake Plate with a lovely decorative design in transfer of Lavender Purple Mum Flowers. What I love about this German plate, aside from the floral design in color in the center, is the bright, chartreuse green around the rim, and the embossed white flowers. So sweet! Not for the perfectionist, this platter has been used at birthday parties and Sunday tea with grandmother for decades, there is wear on the scalloped ridges as shown. Marked on the bottom. Has two cut out handles, measures 10".